Hi [INSERT YOUR FRIEND'S NAME HERE], Please check this out https://www.proactivehealthcare.co.uk/quicksilver-scientific-pure-pc?referrer=0 and get £4 off your first order (minimum order £30 excl. shipping). Thanks! Metabolism of PC provides choline to the body, and while choline can be synthesized from methionine or serine, it is often considered an essential nutrient and must be obtained from the diet. Sufficient levels of Phosphatidylcholine have been shown to support many biochemical pathways, enhance physiology, and restore critical functions such as, liver detoxification of chemicals, heavy metals, and xenobiotics; fat metabolism, improved cholesterol levels, and reduced platelet aggregation risk; increased endurance for physical performance and improved post-exercise recovery. 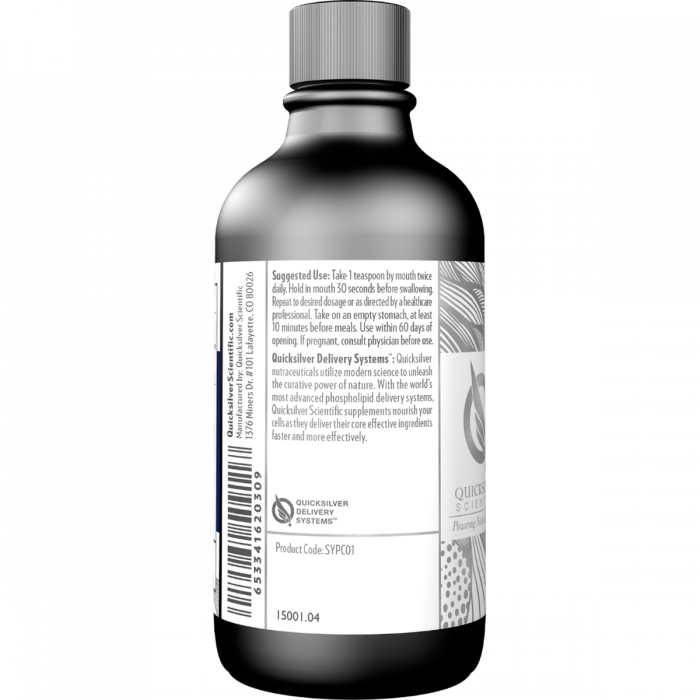 PC supplementation has demonstrated increased availability of the important neurotransmitter acetylcholine within the brain, leading to improved memory, cognition, and mood in disorders such as dementia, Alzheimers disease (2,3,4), and bipolar disorder. Other health-supporting mechanisms supported by PC include blood sugar regulation, cellular anti-inflammatory and regulatory messaging, lung surfactant health, protection of gastric mucosa from NSAID (5,6) use, and therapeutic potential for the treatment of Inflammatory Bowel Disease. PC is a powerful antioxidant and has been shown to have anti-aging benefits (7), in addition to improved joint mobility and reduced pain associated with rheumatoid arthritis. Choline is also a major source of methyl groups via its metabolite trimethylglycine (TMG), which is important for Phase II hepatic detoxification. Quicksilver's Etheric Delivery Phospholipid Encapsulation System brings the power of intravenous therapy into a convenient oral delivery. Etheric Delivery improves upon liposomal technology with smaller, more stable, single-layer spheres made from the highest-grade ingredients available. In addition to exceptional absorption rates, the nanospheres of Etheric Delivery have demonstrated the ability to cross the blood-brain barrier, deposit their cargo intracellularly, and enhance lymphatic circulation of nutrients. Also, the phospholipids that compose the liposome shell feed the cell membranes. This ensures the proper function for the absorption of nutrients and the excretion of cellular waste and toxins. General Suggested Usage: Take 1 teaspoonful (5ml) directly by mouth 1 to 3 times daily. Hold in mouth 3060 seconds and swallow. Best taken on an empty stomach. Phosphatidylcholine has also been shown to be useful while taking detoxification products to enhance fat metabolism and liver regeneration. Refrigerate after opening.